Minecraft creator Markus "Notch" Persson just publicly added another major tech company to his black list. Last September, he called out Microsoft for ruining the PC with Windows 8. Now Persson says he's not going to work with Oculus VR after Facebook snapped up the virtual reality headset maker for $2 billion. The mind behind Minecraft says he was recently considering a free, simplified edition of Minecraft for the Oculus Rift headset similar to the Minecraft Pi Edition. That idea is shelved now, because Facebook creeps Persson out. "I will not work with Facebook," he said in a blog post on his personal site. "Their motives are too unclear and shifting, and they haven’t historically been a stable platform. There’s nothing about their history that makes me trust them, and that makes them seem creepy to me." Persson wants to focus on making games, not social experiences that may or may not be built around games. So Persson says he and Oculus VR will have to part ways. Facebook has already said it will allow Oculus VR to operate independently and focus on gaming before adapting its technology for social experiences, but apparently that wasn't enough to win over Persson. 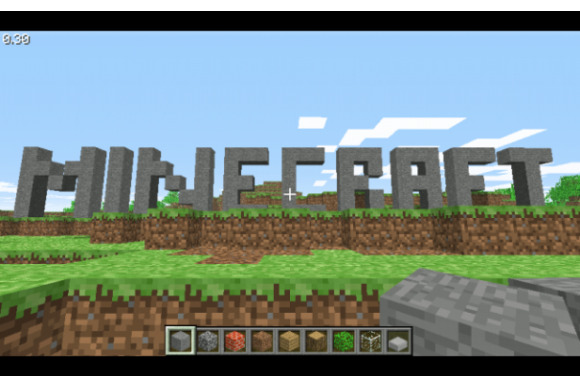 Despite the Minecraft creator's hesitation to work with Facebook he admits that social experiences may very well be an ideal use case for virtual reality. Persson points to a number of potential futures such as hanging out in virtual living rooms, business meetings, and VR cinemas for watching movies with long distance friends. If all that sounds familiar it's because it is. Persson is echoing a decades long dream for VR and other social products that have tried to help us interact online in real-time from remote locations. Second Life and other 3D worlds are the most obvious example of this. But the movie studios have also made tepid attempts at remote experiences with products like community screenings via BD-Live. So far, nothing has had real staying power beyond the world of gaming. Oculus Rift and other headsets might be the key to opening up virtual worlds to the social crowds since the technology is so far beyond what was available when Second Life started in 2003. Even if the technology is available for a VR social revolution, who knows if we are? VR might be amazingly cool for gaming, but are you ready to give up the cineplex in favor of sitting alone in your basement with a camera strapped to your head? I guess we'll find out in just a few years. As for playing Minecraft on a virtual reality headset goes, all is not lost. The Oculus Rift might be out, but with Sony's Project Morpheus, Microsoft's rumored plans for VR, and Valve's experimentation, there are tons of other options for a potential Minecraft VR. And don't forget the Minecrift mod already out there for the Rift!